Don't let a hot, sunny day ruin your outdoor fun - keep cool in the shade with the Quik Shade Weekender Elite 12x12 Instant Canopy! 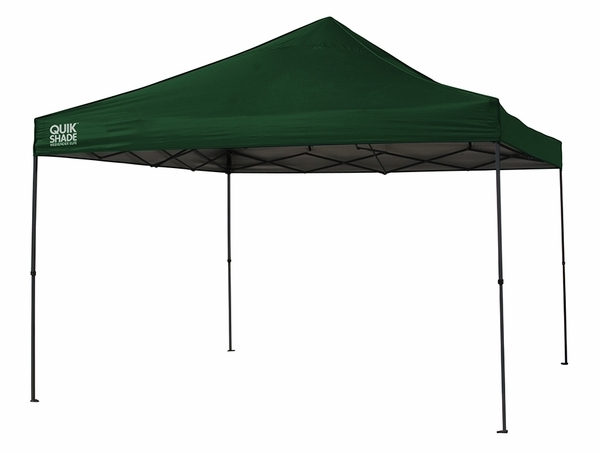 Whether you go to the beach or a park, this portable canopy is easy to set up and will make your time more enjoyable. The canopy comes fully assembled and ready to set up with four height settings on the legs, and it comes with a durable polyester wheeled bag. The canopy offers 99% UV protection with its Aluminex backed fabric and offers 144 square feet of shade. The metal frame is corrosion resistant and powder coated, so it will look great for as long as you own it. Do you imprint logos on this canopy?